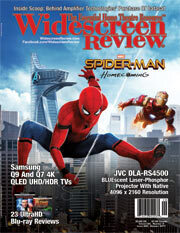 Widescreen Review was re-positioned as Widescreen Review & Custom Home Theatre Design starting with the January 2018 issue. 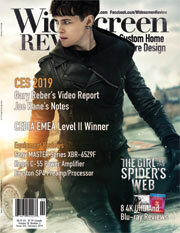 The new, more relevant, digital eMagazine edition of each issue is being delivered free to almost every Custom Home Theatre designer and installer/integrator/specialty dealer in the WORLD. If you want to get your products and services in front of all of your customers this document contains everything you need to know. 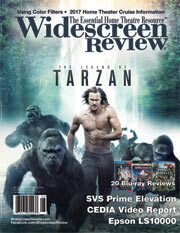 Please accept this opportunity to promote and market your performance products globally through the home theatre-focused Widescreen Review & Custom Home Theatre Design print magazine, Webzine, and digital editions. 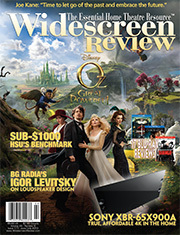 Widescreen Review & Custom Home Theatre Design, now in our 28th year, has helped to create and define the Home Theatre industry. 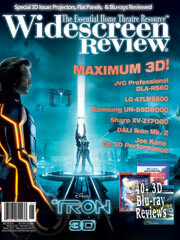 In part, this has been possible by presenting your products to a world of serious enthusiasts. Now our focus is on the people who make it their business to design and install these products and create the next generation of home theatres and intelligent homes. 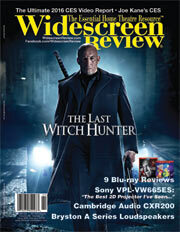 Simon Spears has assumed the position of Sales Director and Senior Editor, and leading this new direction. Simon has over 30 years experience in the consumer electronics industry as a Manager and Director of International Sales for various companies in the residential custom installation distribution, smart homes, Internet of Things (IoT) and consumer electronics (CE) space, and is well known and respected. Simon has advised at the highest level, both internally and externally, and maximized global sales and demand. He has the knowledge and experience that define global opportunities and has relationships with companies in over 90 countries. Simon was the Founding Member and Operations Manager for CEDIA UK, responsible for membership growth, training and education programs and the organizing and management of the CEDIA Expo. 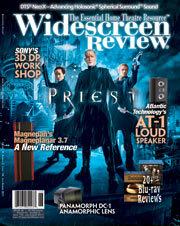 Simon is heading up Widescreen Review's expanded editorial focus on Custom Home Theatre Design and outreach to our global subscribers, which includes most if not all of the top home theatre designer/installers in the world. 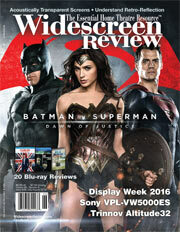 Widescreen Review has always been dedicated to the pursuit of cinematic perfection—whether we are discussing the latest technologies, formats, and products or reviewing movies on Blu-ray or 4K Ultra HD Blu-ray discs for picture and sound quality. Our global database of subscribers, including most if not all of the top home theatre designers/installers/integrators/specialty dealers in the world, have been asking us to dig deeper. 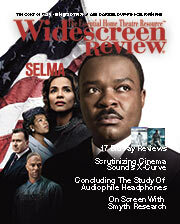 Consequently, we have expanded our attention to the design and installation of the world's great home theatres. It is simply not enough to choose the best products in each category and hope they come together seamlessly. 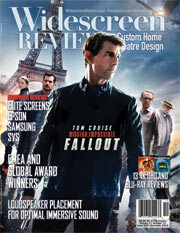 In each issue, we take a detailed look at the finest home theatres in the world. We deconstruct them and reveal the anatomy of each system and the process that went into creating and installing the complete system—from the discovery process where the client and designer discuss the objectives, the size, the number of seats, the themes and the budget, through the measurement and documentation stages, to the selection of products, the installation, calibration and final commissioning of the system. We continue to create the most in-depth, analytical resource for serious home theatre designers/installers/integrators/specialty dealers, as well as enthusiast end-users—a compendium of the best products, services, tools and practices ever used. We have not forgotten the serious end-user enthusiast, but, rather, explore the complexities and challenges confronting anyone attempting to create a state-of-the-art theatre. Ultimately, our recommendation may be to hire professionals, preferably CEDIA (Custom Electronic Design and Installation Association) members, who have studied and been trained in this field. The enthusiasts out there may choose to "go-it-alone" but by following some of the advice conveyed, at least they will have a better understanding of all of the elements necessary for creating the ultimate experience. 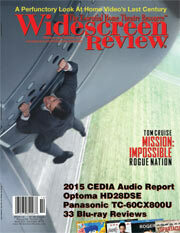 To provide real-world examples, in each issue, we select one of the world's finest home theatres and look at the anatomy of that system in great detail. Working with the original designers and installers we reveal what went into making these systems the best there is. Every stage of the process involved in this in-depth analysis is discussed. 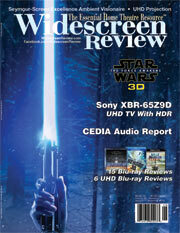 Our January 2018 issue introduced this idea and the following issue, February 2018, has the first full system review. 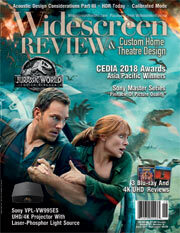 We offer free subscriptions to the digital eMagazine (a page-by-page duplicate of the print edition), to all companies and individuals involved in the Custom Home Theatre business. 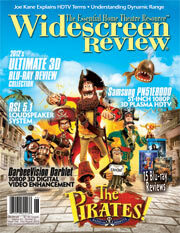 If you do not have one, please let us know by going to http://www.widescreenreview.com/tradesubscribe/. We believe you and your company are extremely well connected to all of the top Custom Home Theatre designers and installers that you distribute your products to. 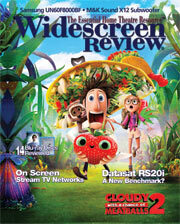 We would like all of them to get free subscriptions as well. We do not want any designer, installer or integrator left out. There are a couple of ways we can do this. The duplicate digital edition is accessible through Amazon Fire devices; Android devices and iPhone, iPad and iPod touch devices. 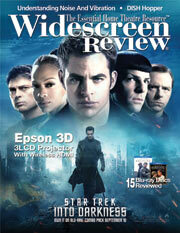 Every month digital subscribers receive an email in their Inbox notifying them the latest eMagazine has arrived. 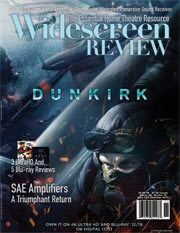 You can send us a list of email addresses and contact names and we can invite them to subscribe (send to subscriptions@widescreenreview.com). In either case, their email address(s) and contact names will be held in strict confidence. We also are re-designing the Web site and expanding our Facebook site and adding LinkedIn company pages and forums. 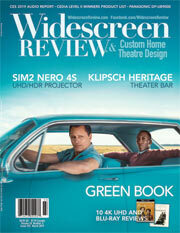 Our goal is to make the magazine the best resource in the world for all things related to High-End Home Theatre. 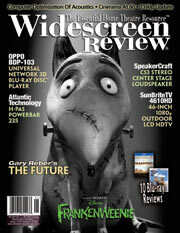 Widescreen Review holds a unique position within the audio/video category and reaches three readerships with each issue. 1. 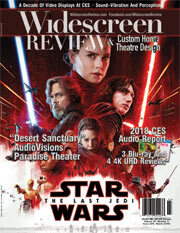 Trade reach your direct business-to-business customers—virtually every custom home theatre designer, installer, and integrator via the eMagazine, the free digital print magazine duplicate. Marketing to trade customers is a "PUSH" effort because you want home theatre designers and installers/specialty dealers/integrators to "PUSH" your product onto the end-user customer. "PUSH" marketing carries the expectation that there will be higher profit margins for the home theatre installer/specialty dealer/integrator because there is no brand or lower-brand recognition. For those specialty dealers with storefronts and consultative sales staff, they are looking to create marketing strategies for their many custom services. They must deal in concept-experience sales and need manufacturers to help them create awareness of and desire for the various product categories. Our serious end-user enthusiast audience has been cultivated for 28 years and is an incredibly important factor in "PULL" marketing. "PULL" brands are what customers go shopping for. "PULL" brands pull customers to retail stores and Web sites. Brand recognition and respect are thus important to customers and to your retailers. That is why it is crucial that your company does everything possible to become and maintain "PULL" brand status. Because without "PULL" brand status you lose the magnetism of positive unaided brand awareness, reputation, price inelasticity, and purchase predisposition. If your "PULL" brand magnetism is not strong, you will see the eroding of your market share as home theatre installers/specialty dealers/integrators turn to other stronger "PULL" brands or "PUSH" higher profit margin products that compete with your product. You simply do not want to resort to a "PUSH" brand if you can avoid it because being one more "PUSH" brand among increasingly many is not an advantage. End-user customers simply do not respond to a brand magnetism that is not there. Customers are motivated to visit company Web sites and/or showroom dealers to experience new and better products with PULL brand marketing. 3. Internet Audience—end-user enthusiasts who prefer online information and research via the Web site, Facebook, and Linkedin. The Internet audience principally seeks research and the lowest possible price for products that deliver the most performance. They are extremely value conscious. They use search engines, independent Web sites, blogs, and online communities. But the print and digital edition is the best driver of Web traffic for readers to go to advertisers' Web sites for more information. A huge audience searches online to learn more about a product or service after seeing an ad elsewhere (such as in a magazine). Moreover, consumers expect company Web sites to focus on helping visitors make informed buying decisions via relevant online content (such as reprints of respected product reviews). 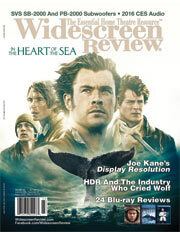 For a more in-depth look at the Widescreen Review & Custom Home Theatre Design opportunity and why you should advertise see below after the Subscription and Advertising Rate section. 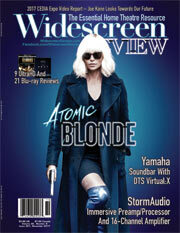 Widescreen Review & Custom Home Theatre Design publishes informative articles and provides leading-edge editorials on custom home theatre design and installation as well as audio and video equipment reviews, and Blu-ray and 4K Ultra HD disc reviews and the latest cutting-edge technologies and the process of designing and installing custom home theatres to keep the home theatre professionals and enthusiasts up to date on the latest happenings in the Custom Integration and Consumer Electronics Industry. After all, the experience is what the result should be all about. 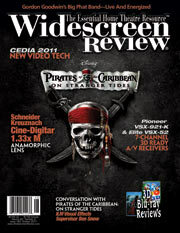 As 4K Ultra HD, High Dynamic Range (HDR) and Wide Color Gamut (WCG) and, as well, Immersive Sound take hold it will be critically important to understand how these new technologies boost picture and sound quality. 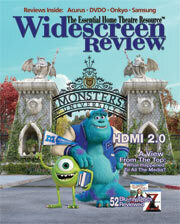 A recent study by research firm Futuresource concluded that sales of 4K Ultra HD hardware continues to gain momentum. 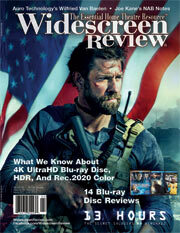 By the end of 2017, 35 percent of global TV sales supported 4K Ultra HD. 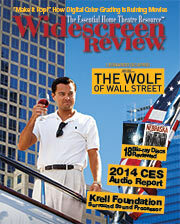 Join thousands of readers and become the "ELITE" in this fast-paced home theatre industry. 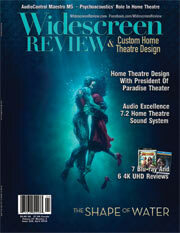 Widescreen Review & Custom Home Theatre Design print and digital eMagazine editions are your one-stop guides to everything you need to know about optimum home theatre performance. 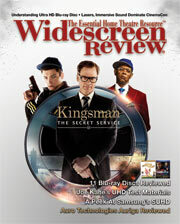 Subscribe today and receive a full-access pass to the entire magazine's Web site! 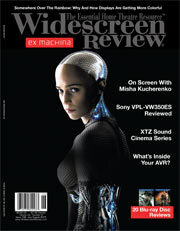 Webzine access will be started within 24 to 48 hours of subscription. Please make sure to select which issue you would like to start with. 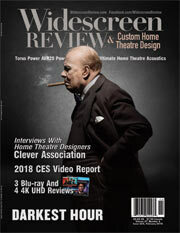 *Associate Subscriptions are available to professionals worldwide who work in the Custom Home Theatre, CI or CE industry, a company name, and job title are required. 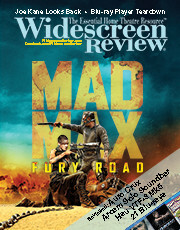 Go to https://www.widescreenreview.com/tradesubscribe/ to submit your subscription request. 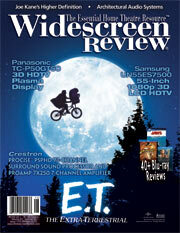 Widescreen Review & Custom Home Theatre's base print and digital eMagazine circulation is overall 35,000, not including trade show distribution. 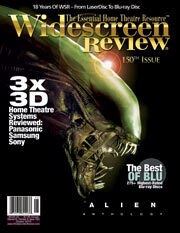 The print magazine is sold in major retail outlets such as: Barnes & Noble and Fry's Electronics. 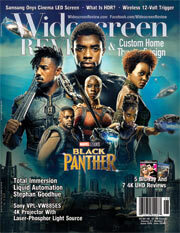 In addition to the print edition and duplicate digital eMagazine edition is the Webzine audience, which consists of print subscribers and Webzine-only subscribers. 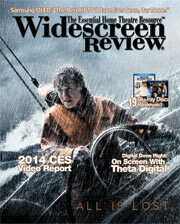 NOTE: All subscribers to the print edition automatically are subscribed to the digital eMagazine edition. 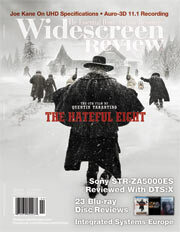 Paid subscribers have a full-access pass to the Web site and can view entire current issue content, most back issue content, and access both 225-field searchable Blu-ray and 4K Ultra HD databases. Many of our readers make their print issues available to others. The average pass-along is two readers per copy. 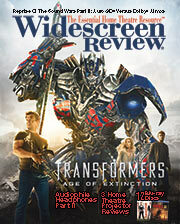 For every three-time, full-page consecutive ad contract in the print/digital editions your company receives a FREE 728 x 90 banner ad on www.widescreenreview.com for the duration of the contract and a listing in the Advertiser's Section of www.widescreenreview.com for the duration of the contract. Middle Gutter Safety should be 3/4 wide or .375 from each page edge. We can only accept digital files, either a high-resolution PDF or a CMYK Photoshop TIFF at 300 dpi. Files can be accepted on disc or via our FTP site. All files must be accompanied with a SWOP color proof, where color is important, or a low resolution PDF for position only. Inserts, Gatefolds & Reprint rates on request. 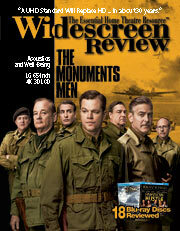 You may want to advertise on our Web site as an alternative or in addition to print advertising. With print advertising your ad will appear in the duplicate digital eMagazine edition available to all Webzine subscribers and to all TRADE subscribers (complementary). We can custom design a program that is very affordable. Our Web site enjoys a massive amount of content generated throughout our 28-year history. 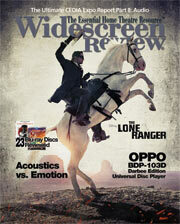 And we have advertising programs just for our Web site or in combination with the print magazine. We use internal analysis software to let you know how many impressions you have logged. 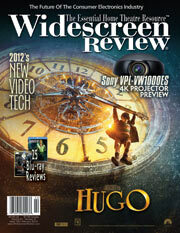 The focus of Widescreen Review & Custom Home Theatre Design, both print and the duplicate digital eMagazine edition, and Webzine is to publish informative articles, editorials, product reviews and news to keep the home theatre enthusiast apprised of new technologies and reviews of the picture and sound quality of motion pictures released in the widescreen Blu-ray and 4K Ultra HD Disc formats. Our mission is to educate our readers as to component selection and system setup considerations that are aimed at a home theatre experience that is "the best that it can be," and to explore the anatomy of the finest home theatres in the world. Technical excellence in presentation is a primary concern. 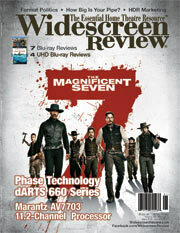 The magazine in both edition formats, and Webzine are packed with content that will serve as a valued resource in the pursuit of the ultimate home theatre experience. 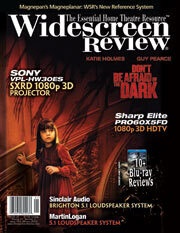 Bulk copies of Widescreen Review & Custom Home Theatre Design are available on special request with advanced notice prior to publication. 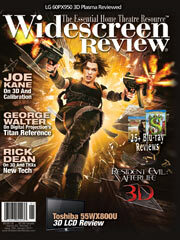 Each magazine in bulk is $3.00, plus the shipping cost as a factor of how many issue units. 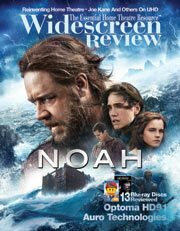 Copyright ©2019 Widescreen Review/WSR Publishing Inc. All rights reserved. 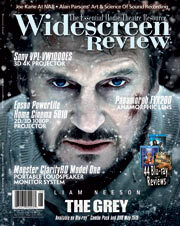 Reproduction or use of the contents of Widescreen Review & Custom Home Theatre Design or www.WidesceenReview.com in any media or non-media form, without the written permission of the publisher is prohibited. Printed In The United States Of America. Trademark names are used editorially throughout Widescreen Review® & Custom Home Theatre Design issues to the benefit of the trademark owner, with no intention of trademark infringement. 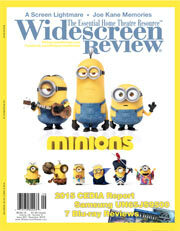 Widescreen Review & Custom Home Theatre Design is a showcase for design, new technologies and formats, audio/video innovation, and leading-edge performance products, generally outside the understanding and budget of your average household. 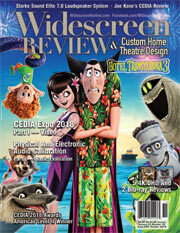 Widescreen Review & Custom Home Theatre Design is possibly the best vehicle (apart from tradeshows and end-user shows) for showcasing your flagship products before potential customers. 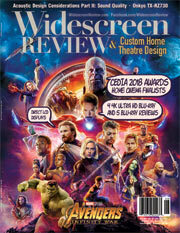 Widescreen Review & Custom Home Theatre Design is the leading consumer/trade magazine and Webzine that focuses exclusively on what specialty dealers and custom designers, installers, and integrators sell and service—the high-performance products you provide. 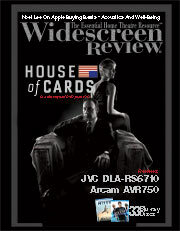 When you advertise through Widescreen Review & Custom Home Theatre Design, you put yourself in the hands of the top percentile of spenders in the category, with the additional advantage of reaching out to thousands of specialty dealers and custom designers, installers, and integrators of the world's most exclusive home theatre components and systems. Once you're on the radar of these people, the positive word of mouth and potential distribution opportunities go way beyond the number of people you actually reach through the magazine's circulation, both in print and digital form. Effectively, you can create the impression of spontaneous word-of-mouth enthusiasm. The bottom line is that it is important to understand that it is about the quality of the readership and not the quantity. 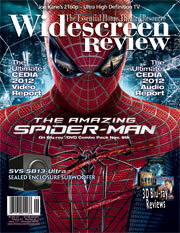 Widescreen Review & Custom Home Theatre Design remains the single print/digital and online publication that speaks to both serious home theatre enthusiasts and the CEDIA, PARA, PRO Group, HES, Nationwide, and HTSA channels who desire a technology education and in-depth educational product reviews, as well as expert picture and sound Blu-ray and 4K Ultra HD disc reviews. We are in our 28th year of carrying the high-performance flag, earning the respect of end-user serious enthusiasts and home theatre designers and installers/specialty dealers/integrators, who must sell, design, install, and explain how to use product. 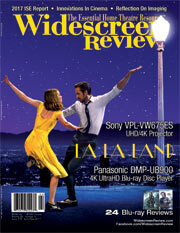 There is simply no publication that is so in-depth and reliable. No other publication is better able to reach the targeted custom home theatre designer, installer, integrator and specialty dealer, as well as the ultimate end-user enthusiast consumer who will be most interested, in fact, most receptive and appreciative of the information offered. 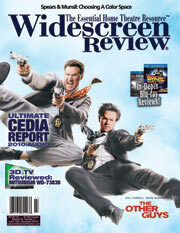 With Widescreen Review & Custom Home Theatre Design you reach BOTH your direct trade partners and end-user enthusiast consumers! Smart companies recognize that they need to build a competitive advantage over others that have been cutting back to be in the best possible position when the economy returns to its former robustness and to reach your potential customers serving those with the money to create custom home theatres—they understand that they need to raise their image to benefit themselves. They have figured it out and are making meaningful efforts to establish and maintain and continually evolve their brand consciousness among potential customers. A marketing campaign that utilizes both print/digital, online, and tablet/smart phones is the best way to reach the designers, installers, integrators and specialty dealers creating home theatres, as well as the real enthusiasts of the audio/video world. 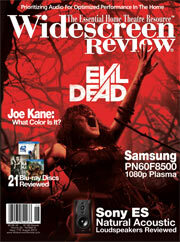 Widescreen Review & Custom Home Theatre Design is uniquely positioned to assist your efforts and at a surprisingly affordable rate. No doubt that it costs money to establish and maintain and continually evolve a "PULL" brand and build brand consciousness among your potential customers. But the alternative is to "PUSH" low price and unknowable performance. You must give your product value in the customers' eyes through personal experience and evaluation, gained through credible reviews and in-person sales consultation. According to a recent industry dealer survey, 69 percent of dealers list home theatre as a "hot" category and 30 percent pinpoint it as their No. 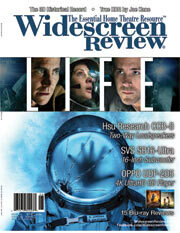 1 "hottest" category, up-selling the wider "2.39:1" widescreen movie format. 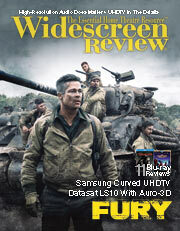 As well, high- and ultra high-definition Blu-ray and 4K Ultra HD continue to gain consumer awareness and demand as the ultimate source medium to drive their home theatre display systems, which are now capable of impressive dynamic range with excellent black-level reproduction. Overall, specialty dealer designers, installers and integrators in the custom segment of the market continue to experience growth. The secret to thriving in challenging times isn't cutting costs in advertising, writes the New Yorker's James Surowiecki. He says that 20th Century history shows it's best to spend and spend big: "In 1927, the economist Roland Vaile found that firms that kept ad spending stable or increased it during the recession of 1921-1922 saw their sales hold up significantly better than those which didn't. A study of advertising during the 1981-1982 recession found that sales at firms that increased advertising or held steady grew precipitously in the next three years, compared with only slight increases at firms that had slashed their ad budgets. And a McKinsey study of the 1990-1991 recession found that companies that remained market leaders or became serious challengers during the downturn had increased their...ad budgets, while companies at the bottom of the pile had reduced them. "Recessions are the best time for market-share-trailing companies to make up ground and even become industry leaders." 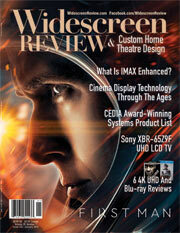 Our unique approach to the print and digital mediums, coupled with an expansive and extensively in-depth Web site fully accessible to our print and digital Webzine subscribers, with as well, non-subscriber access, is a trusted reference resource for custom home theatre designers, installers, integrators and specialty dealers, as well as enthusiast end users. 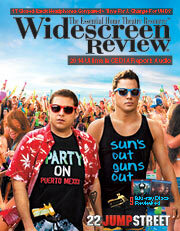 In fact, for years CEDIA member surveys have consistently rated Widescreen Review in the No.1 ranking of publications read. 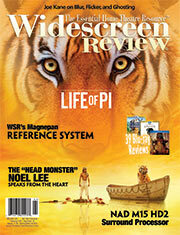 Just ask any CEDIA dealer-member about the merits of Widescreen Review. 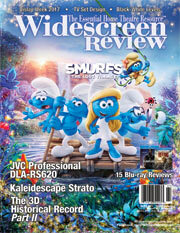 I'm sure you will agree that Widescreen Review & Custom Home Theatre Design is a trusted resource in the consumer electronics industry. 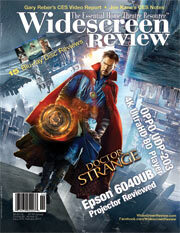 You should believe in the print medium and its duplicate digital eMagazine edition. With all the focus on digital these days, it's easy to believe the hype that everything is online and no one is paying attention to print anymore. But recent studies show people—lots of them, actually—are still reading ink-on-paper magazines and prefer that experience to reading off a computer screen. They are not only reading them, they are also paying attention to and acting on the ads inside. There is nothing more visually appealing than a high-contrast ink-on-paper ad or article. A study released by McPheters & Company in cooperation with Conde Nast and CBS Vision explores the relative effectiveness of ads on television, in magazines, and on the Internet. Among the major findings are: "Within a half hour, magazines effectively delivered more than twice the number of ad impressions as TV and more than six times as those delivered online." Survey results published by the Deloitte research organization found that 72 percent of consumers between the ages of 13 and 75 preferred to read printed magazines over getting the same information online. 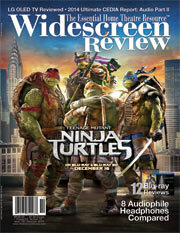 Bottom line, reports Deloitte, is that printed magazines remain "an integral part of every generation's life." And a study conducted by a prominent university found that when reading the same material published on printed paper and on-screen on a computer the retention factor was far greater when reading off paper than on-screen. 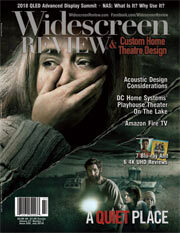 Widescreen Review & Custom Home Theatre Design's audience, whether our print and/or digital readership, should be on every manufacturer's "must-reach-out-to list." Advertisers should be discerning and not advertise on the basis that all that matters is that X-number of people receive the magazine. What counts is that they READ it. Each month new "dealer" channel members—designers, installers, integrators and specialty dealers—are added to the subscription distribution by request. The magazine is distributed on a national/international basis through print and digital subscriptions and newsstands, as well as on tablets and smart phones. 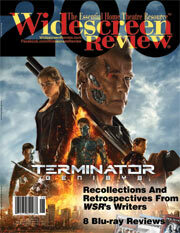 Newsstand coverage is focused on national bookstores such as Barnes & Noble and other wide-selection magazine outlets. 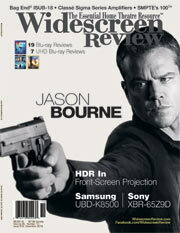 Thus, our subscribers and readers are indeed serious about home theatre. Education is undeniably essential to the success of your company, your sales force, and your dealers for gaining knowledge and confidence to interact with your customers and in return gain their confidence. An educated salesperson is better able to project trust and earn customer confidence —qualities essential to successful selling. And educated consumers buy more. 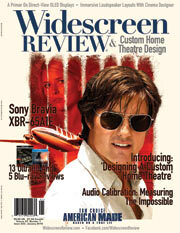 The Widescreen Review & Custom Home Theatre Design reader is special, notably because he or she respects the magazine as a resource for knowledge about all aspects of the components that comprise the home theatre experience. 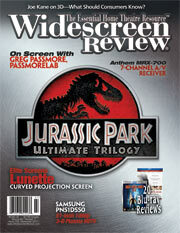 As noted, Widescreen Review began its repositioning as Widescreen Review & Custom Home Theatre Design with the January 2018 issue. 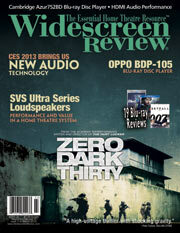 We are now in our 28th of publishing the industry's leading home theatre technology magazine. 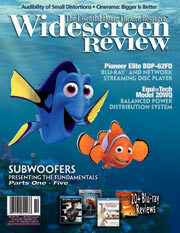 The magazine is regarded throughout the industry as "The Essential Home Theatre Resource™." We are extremely educationally oriented, particularly with regard to home theatre design, new technologies and formats (HDMI, Blu-ray, 4K Ultra HD, 5.1/6.1/7.1 surround and Immersive Sound, high dynamic range (HDR) and wide color gamut (WCG) displays, 3D home theatre, acoustics and electronic room correction, and amplifier and loudspeaker performance, with extensive coverage and articles on such. 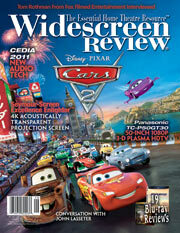 Reading Widescreen Review & Custom Home Theatre Design over time provides an excellent understanding of custom home theatre design and of the sources, amplification and processing, and loudspeaker and video display playback requirements for good home theatre picture and sound performance. 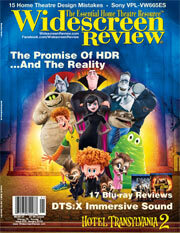 We also review for picture= and sound-quality performance the most outstanding widescreen-formatted Blu-ray Disc and 4K Ultra HD releases, and maintain an extensive searchable Blu-ray Disc and 4K Ultra HD database accessible to our subscribers on our Web site at www.widescreenreview.com. 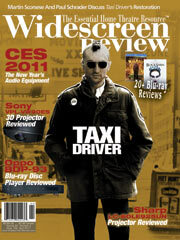 Throughout our 28-year history we have maintained a clearly defined focus on high-resolution, widescreen displays and high-resolution digital surround sound, component selection, connectivity and system setup, as well as the performance characteristics of widescreen movies delivered on optical discs. 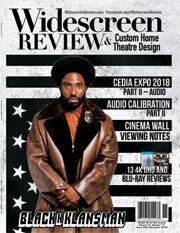 The magazine and Webzine are targeted both to custom home theatre designers/installers/integrators/specialty dealers and to the home theatre end-user audience niche, with an emphasis on optimum performance education. We seek to define "the best that it can be" and to define value performance. Our readers understand "compromised" performance and are better able to appreciate good performance value and why costs reflect performance quality. For the performance manufacturer, this is extremely important because you have to be able to educate potential customers to why your product(s) cost more compared to lesser performance products. Knowledgeable end users will appreciate dealers who recommend the products that you've advertised in Widescreen Review & Custom Home Theatre Design. 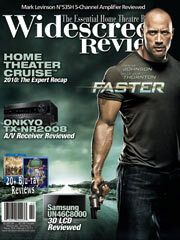 A key mission is to develop new home theatre entertainment hobbyists or "junkies," and as well to develop new generations of sales professionals to present the latest technologies to consumers. We are there to provide support for custom home theatre designers/installers/integrators/specialty dealers seeking to educate their customers and provide high-quality audio and video demonstrations, thereby creating a greater opportunity to entertain and get consumers excited about home theatre and the often-unknown or not-understood capabilities of the equipment that offers greater performance. The art of a proper product demonstration is clearly the best approach to providing consumer education and a higher level of service to grow sales. While there continues to be a focus on 4K Ultra HD displays and the expenditures required, audio manufacturers and their "dealers" need to get consumers to realize that they are missing out on quality audio, which contributes up to 80 percent of the home theatre experience. But demand for high-performance audio won't grow without an extra nudge from retailers and the support of manufacturers to create demand by advertising and giving consumers the experience through demonstration-capable specialty dealers. 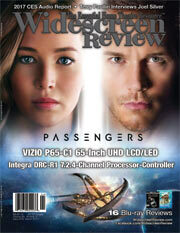 Widescreen Review has always been respected and referred to as a reference resource, and is often mentioned and quoted on various Internet forums, and prominently on the AVS Forum, which contains numerous discussion threads based on content generated in the magazine. 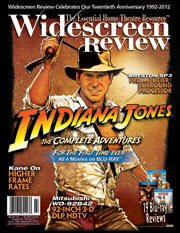 Many forum readers have admitted to basing their purchasing decisions on these credible Widescreen Review discussions and reviews. We expect such appreciative testimony to expand throughout the world with our re-positioned Widescreen Review & Custom Home Theatre Design launch. 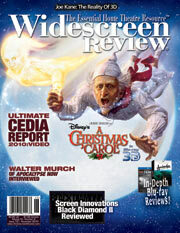 Truth is, when you advertise through Widescreen Review & Custom Home Theatre Design, you put yourself in the hands of the top percentile of spenders in the category, with the additional advantage of reaching out worldwide to thousands of custom home theatre designers, installers, integrators and specialty dealers who specify and install home theatre components and systems. Once you're on the radar of these people, the positive word of mouth and potential distribution opportunities go way beyond the number of people you actually reach through the magazine's print and digital circulation. Effectively, you can create the impression of spontaneous word-of-mouth enthusiasm. We call this viral marketing or viral advertising. Through Widescreen Review & Custom Home Theatre Design you can reach satisfied customers and enthusiasts who tell an average of three people about a product or service he/she likes or recommends. Viral marketing is based on this natural human behavior of social networking. While the fall, winter, and spring months are regarded as the best time of the year to advertise, when people are spending more time at home, our readership is uniquely attentive ALL YEAR LONG. Support your dealer channels and reinforce your brand recognition with potential end-user customers. 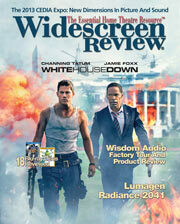 Include Widescreen Review & Custom Home Theatre Design in your advertising, marketing, and education outreach plans for 2018. 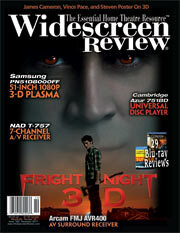 Advertising in both the print magazine and its duplicate digital eMagazine edition and on the Webzine site, as well as automatically in the tablet/smart phone editions via PixelMags, will keep your brand name and product offerings at the forefront of both "dealer" channels and end-user serious enthusiasts, who need to know what you have to offer. Bottom line: Never stop marketing yourself aggressively! If you do not, you become an unknown. It's not your customer's job to remember you. It is your obligation and responsibility to make sure they don't have the chance to forget you. So, if you are a company that delivers groundbreaking home theatre experiences, your product should be in front of our readership. 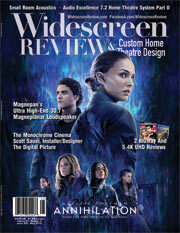 Widescreen Review & Custom Home Theatre Design magazine publishes informative articles and provides leading-edge editorials, on custom home theatre design and installation as well as equipment reviews, and Blu-ray and 4K Ultra HD reviews to keep the home theatre professionals and enthusiast up to date on the latest happenings in the Custom Integration and Consumer Electronics Industry. 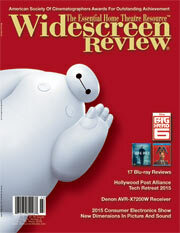 Editor's Couch: Commentary and significant industry news. 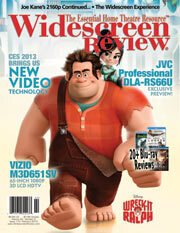 New Equipment: Exciting hot new products coming soon to your home theatre. Custom Home Theatre Deconstructions: Deconstruct custom home theatres and reveal the anatomy of each system and the process that went into creating and installing the complete system. From the discovery process where the client and designer discuss the objectives, the size, the number of seats, the themes and the budget, through the measurement and documentation stages, to the selection of products, the installation, calibration and final commissioning of the system. 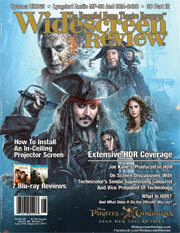 Product Spotlight: Extended editorial coverage for one or more advertisers on a noteworthy product. 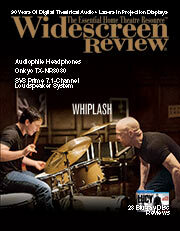 Equipment Reviews: In-depth technical articles relaying information on performance with test pattern results and how to integrate them into a home theatre system—including detailed specifications. 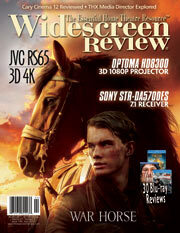 PLUS: Your Home Theatre Features, Letters To The Editor, Industry Insider, On Screen Interviews, and more. 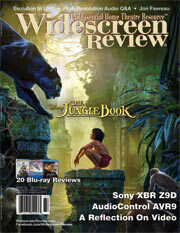 I read to try and find the best quality movies for sound and video. 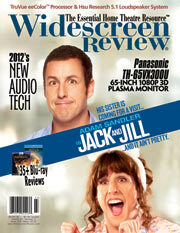 Too many movies these days have horrible sound and with today’s home theatres seem unacceptable. Also, equipment reviews are helpful.